Indonesia and Australia share one of the longest maritime boundaries in the world. They also share a unique bond as neighbours at the maritime crossroads of the Indian and Pacific Oceans. The relationship between the people of Indonesia and Australia started many centuries ago when Makassan seafearers and other Indonesian islanders began trading with the Aboriginal people of northern Australia. Our relationship strengthened when Australia supported the Indonesian struggle for independence in 1940s and was reinforced by the 2006 Lombok Treaty for addressing traditional and non-traditional security challenges. Recent agreements will further enhance maritime cooperation. 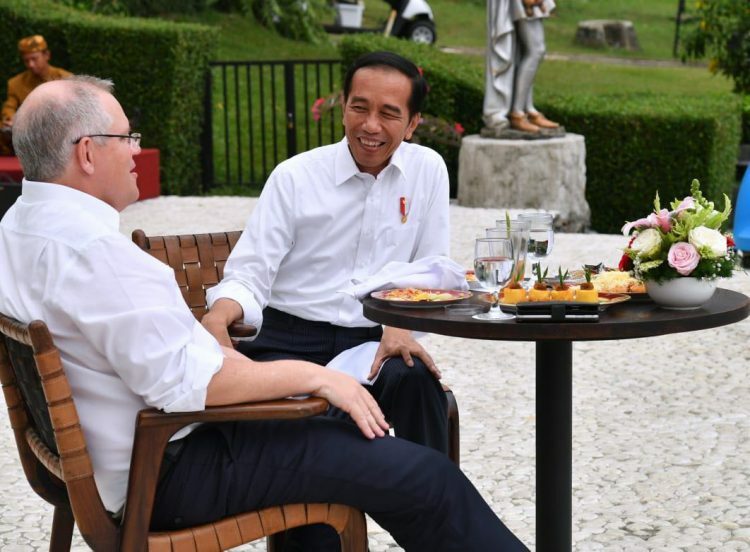 During Indonesian president Joko Widodo’s visit to Australia in February 2017, the leaders of both countries committed to boost maritime cooperation. The Joint Declaration on Maritime Cooperation was signed in the same month by the Indonesian and Australian foreign ministers. An implementation plan, the Maritime Cooperation Plan of Action, was signed in March this year. The plan of action sets an ambitious agenda to strengthen and expand maritime engagement between two countries. 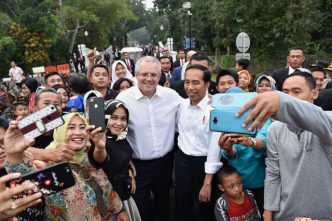 The visit of Scott Morrison to Indonesia in August, just a few days after he became prime minister, resulted in the Joint Declaration on a Comprehensive Strategic Partnership between Australia and Indonesia. The joint declaration rests on five pillars. promoting our maritime cultural heritage. The question is how to implement pillar four. Responsibilities must be made clear. However, each country’s system of government is different, and the names, structures and functions of their government agencies are different. So it could be quite difficult to identify the appropriate partners in both governments to address a particular issue. Implementation of maritime trade and the sustainable development of the blue economy touches on numerous agencies on the Indonesian side alone, including the Coordinating Ministry of Maritime Affairs and Natural Resources, the Coordinating Ministry for Economic Affairs, the Ministry of Trade, the Ministry of Maritime Affairs and Fisheries, and the Ministry of Energy and Mineral Resources. All of these agencies will need to work with each other and with the appropriate Australian agencies to address questions such as what kind of maritime trade and blue economy we would like to develop and how we will do it. A key area for enhanced trade and cooperation is the maritime defence industry. Under the government’s 2016 defence industry policy statement and 2017 naval shipbuilding plan, Australia is developing its maritime defence industries. And under the 2018 defence export strategy, Australia is seeking to export maritime defence equipment and services abroad. While Indonesia already has a shipbuilding industry, it still needs modern equipment and material for building and maintaining ships, which could be met by more advanced technologies from Australian industries. In Indonesia every two years the Ministry of Defence organises the Indonesian Defense Exposition, and in Australia every two years there’s the Sea Power Conference, including the Naval Exposition. 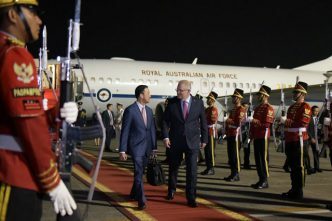 Those events could be used as opportunities for Indonesian and Australian defence industries to develop business relationships. The task of combating transnational crime at sea and IUU fishing will also involve many government agencies. There are multiple maritime law enforcement organisations on the Indonesian side, such as the navy, the sea and coast guard, the Maritime Security Agency (Bakamla), the maritime police, the Ministry of Finance, the Ministry of Maritime Affairs and Fisheries, and the National Narcotics Agency. To tackle IUU fishing, the Indonesian government has already set up Task Force 115, led by the Ministry for Maritime Affairs and Fisheries and supported by the navy, Bakamla, the maritime police, the attorney-general and other government organisations. However, the picture is complicated by the fact that some agencies don’t have the legal authority to combat certain types of transnational crimes at sea. On the Australian side, there are also a number of relevant organisations, such as the navy, army and air force, the Australian Border Force, the Maritime Border Command, and the Australian Fisheries Management Authority. So how can the maritime law enforcement organisations from both countries find their right counterparts and work together? And at what level should they cooperate? Until now, most cooperation has been service-to-service engagement between counterpart agencies. 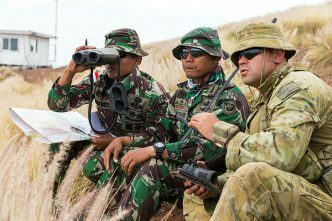 The Indonesian and Australian navies have worked together for many years conducting cooperative activities, such as officer exchanges, training and education, exercises, and coordinated patrols. Bakamla works closely with the Australian Border Force and Marine Border Command, including engaging in regular meetings and exchange visits. The Indonesian Ministry for Maritime Affairs and Fisheries works with AFMA, and information-sharing to reduce IUU fishing along the maritime border is going well. But, unfortunately, there’s no joint services approach to combat transnational crime at sea yet. In the future, we need to establish joint engagement between our maritime law enforcement agencies to achieve better outcomes. Similarly, in the fields of marine science and technology and maritime cultural heritage, there are a large number of relevant agencies on both sides, but so far the two countries lack an approach that coordinates cooperation between them. The comprehensive strategic partnership will open a new chapter in the relationship between Indonesia and Australia. It provides the two countries with a robust policy framework to both deepen existing relationships and support new initiatives for maritime cooperation. But, as always, the challenges will be in implementation. The links must be established between the right counterparts and be coordinated in a joint way. To ensure the partnership’s potential is realised, the relevant ministers will need to meet on a regular basis, to consult and resolve challenges, and report annually on progress. Desi Albert Mamahit is a retired vice admiral who served in the Indonesian navy in various roles and was the first head of the Indonesian Maritime Security Agency (Bakamla). He was a visiting fellow at ASPI in September and October 2018. Image courtesy of Joko Widodo on Twitter.